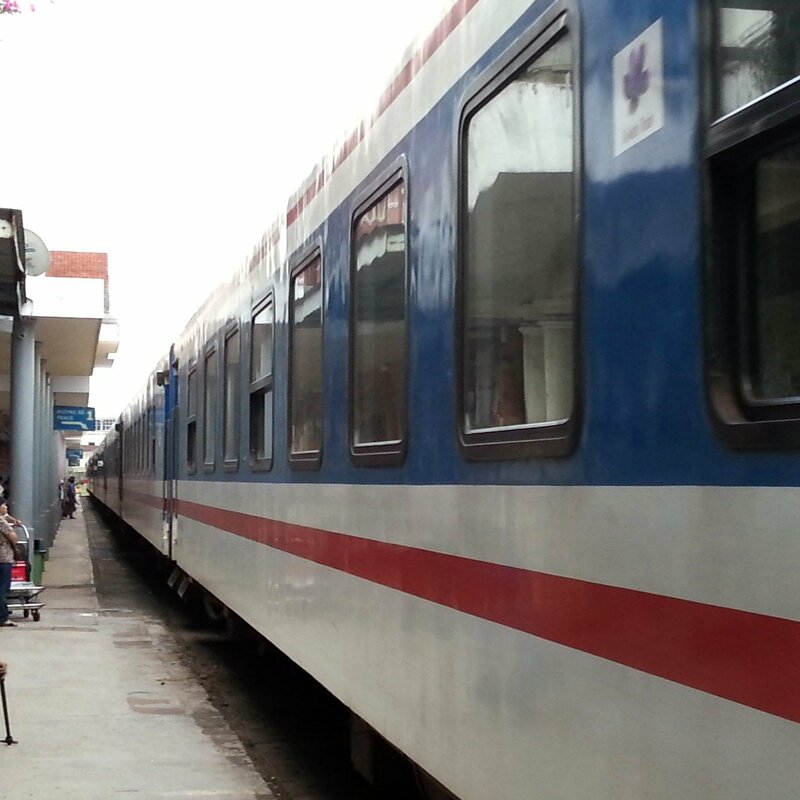 The distance from Bim Son to Nha Trang is 1,170 km which takes 23 to 25 hours to travel by train. There are two SE class trains a day on this route, one departing just before midday and the over leaving Bim Son early evening. All services travel through the night so booking a sleeper berth is advisable. The fastest train service from Bim Son to Nha Trang is Train #SE5 departing at 11:55 and arriving in Nha Trang 22 hours 56 minutes later at 10:51. The slowest of the train services from Hue to Nha Trang is Train #SE9 departing at 17:51 and scheduled to arrive in Nha Trang 24 hours 28 minutes later at 18:19. 2nd Class A/C Seats, 2nd Class A/C Sleepers and 1st Class Sleepers are all available to book online on the Bim Som to Nha Trang route. Bim Son Train Station is located at khu phố 10, Bà Triệu, Ngọc Trạo, Bỉm Sơn, Thanh Hoá, Vietnam. Nha Trang Railway Station is located at 17 Thái Nguyên, Phước Tân, Thành phố Nha Trang, Khánh Hòa 650000, Vietnam. A number of destinations in China including Hong Kong, Guangzhou, Chengdu and Kumming. Seoul and Incheon in South Korea. Ho Chi Minh City, Ha Noi and Vinh in Vietnam. Seasonal charter flights to a number of cities in Russia. Nha Trang is on Vietnam’s Reunification line making it possible to travel direct by train to all destinations between Sai Gon in the South and Ha Noi in the North. 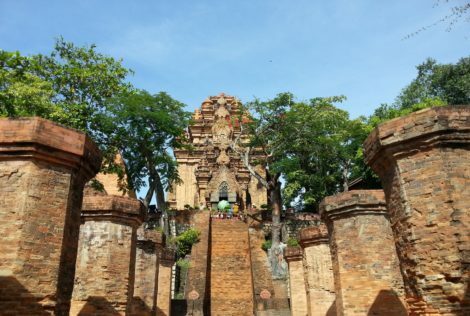 The train journey from Nha Trang to Sai Gon takes 7 to 9 hours, Nha Trang to Ha Noi takes 24 to 28 hours, Nha Trang to Hue takes 12 to 15 hours, and Nha Trang to Da Nang takes 9 to 11 hours. For travel by bus you have the choice of taking a public bus from the main Southern Bus Terminal, which is about 5 km outside of Nha Trang City, or travelling with one of the slightly more expensive tourist bus companies (such as SinhTourist) from a bus station in the city centre. The advantage of taking the slightly more expensive tourist bus services is that the point of arrival will be in a city or town centre, or near an important tourist attraction, rather than the main public bus stations, which in Vietnam are typically located some way away from town or city centres. A popular bus journey from Nha Trang is to Da Lat, which is a 4 hour journey by bus. Da Lat is a popular town located in the Central Highlands of Vietnam with a cooler climate and some interesting architecture left behind by the French Colonialists.